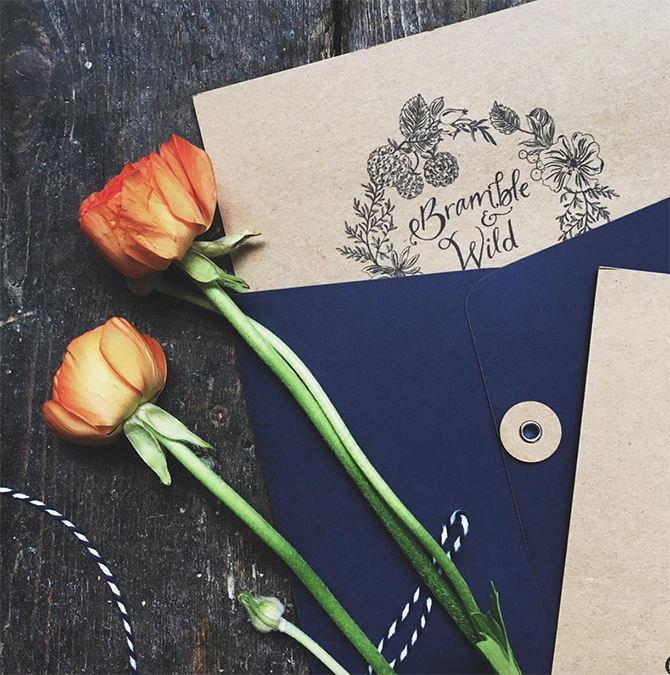 I was so pleased to discover the line art version of the logo I designed for Bramble & Wild being used in such lovely ways, that I thought I would share some snaps from their Instagram page. 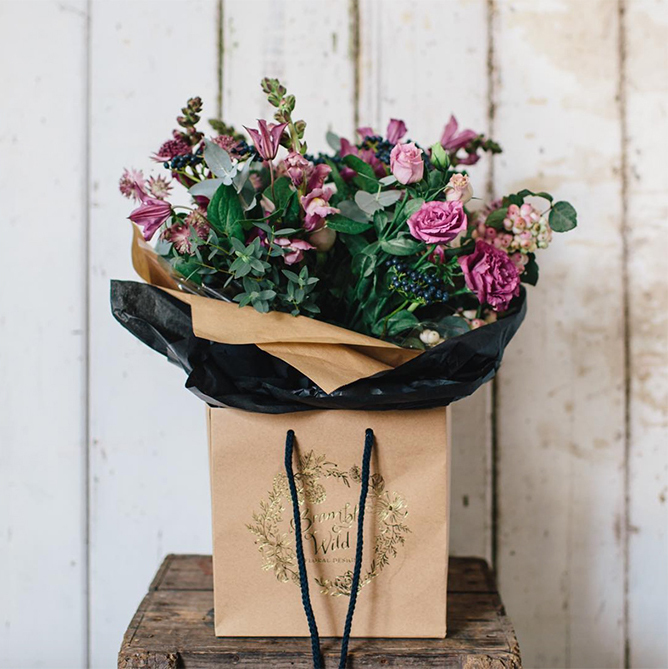 Grace’s beautiful blooms and stunning arrangements look ace in these kraft bags, adorned with the gold foiled line art logo. As well as beautiful flowers, you’ll find lots of little gifts to entice you in. 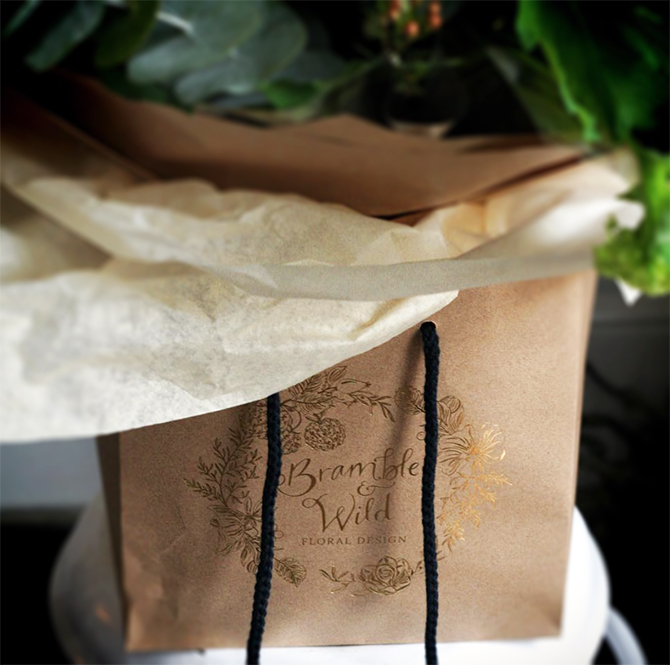 If you’re local, and you’re not familiar with Bramble & Wild, I urge you to go! 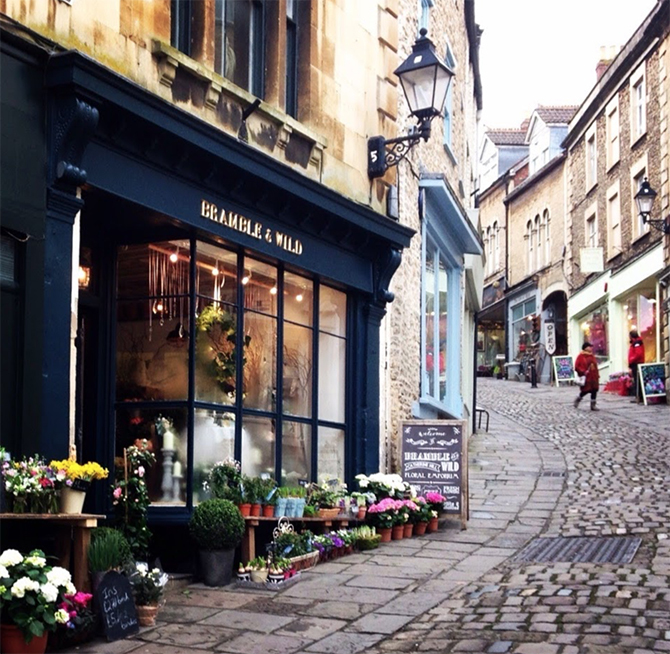 It is a wonderful florist situated on Frome’s historic Catherine Hill, which is peppered with amazing independent shops, and certainly not your average high street. 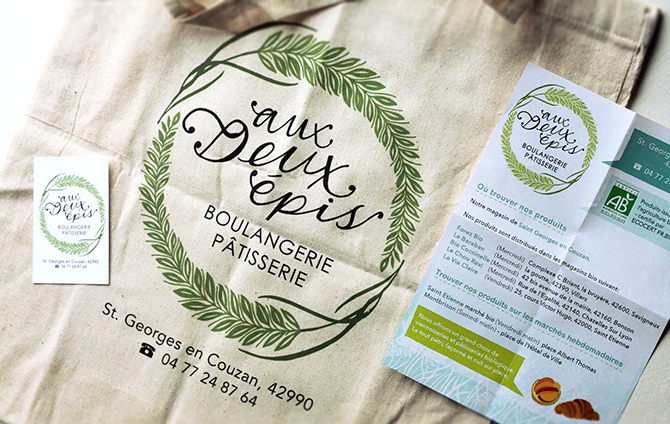 The best post (second only to the hand-baked brioche I received some months ago), all the way from France. It’s lovely when you’re sent work that you’ve done that you’re not expecting, especially when they’ve made it into a bag and packaged it up with Christmas paper and a heart-warming message.